Look out, Australia. A set of highly energetic twins is headed our way. 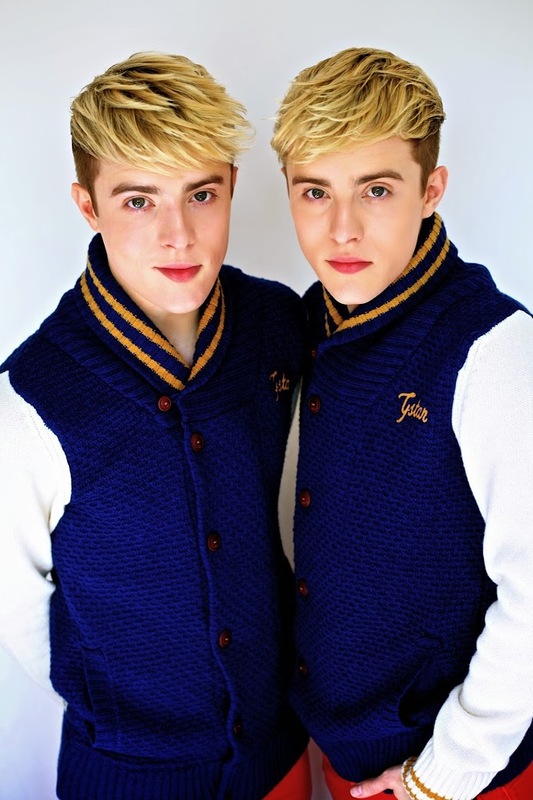 Since captivating TV audiences as part of the 2009 edition of Britain’s ‘X Factor’, Irish twins John and Edward Grimes (aka Jedward) have steadily been spreading their fluffy pop cheer across the rest of the world. They represented Ireland at the Eurovision Song Contest in 2011 – and again in 2012, have been to Australia twice this year for whirlwind promotional visits and are ready to touch down again, this time for three concerts. We popped on the phone to the boys and while John was recuperating from an ERI (exfoliation-related injury), we chatted to Edward about what it’s like being part of one of the globe’s biggest pop culture phenomenons. Was it a chat? Was it a monologue? We weren’t to be sure, but it kicked off with one of the boys’ trademark explosions of energy. 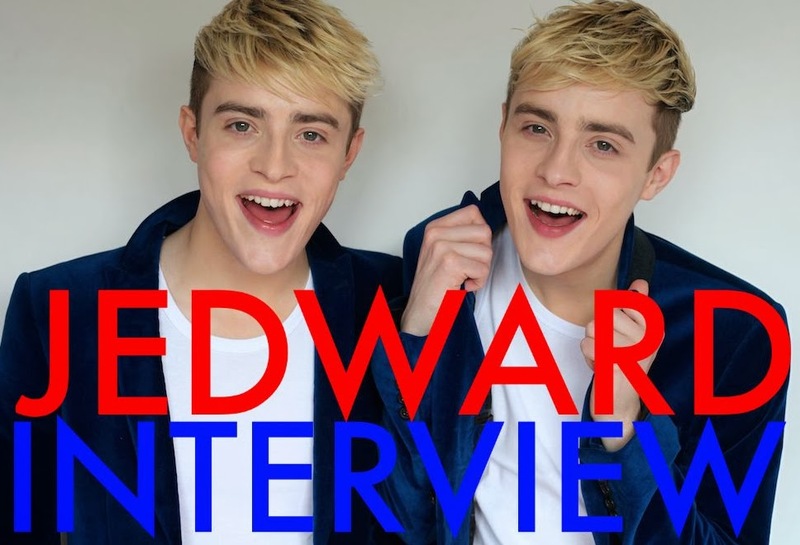 That initial burst out of the way, Edward tells us that when they do hit television screens – anywhere in the world – they like to keep things rather spontaneous. Honestly, we’ve never been able to pick who’s who, but Edward gives us the subtle keys to differentiating between the pair. 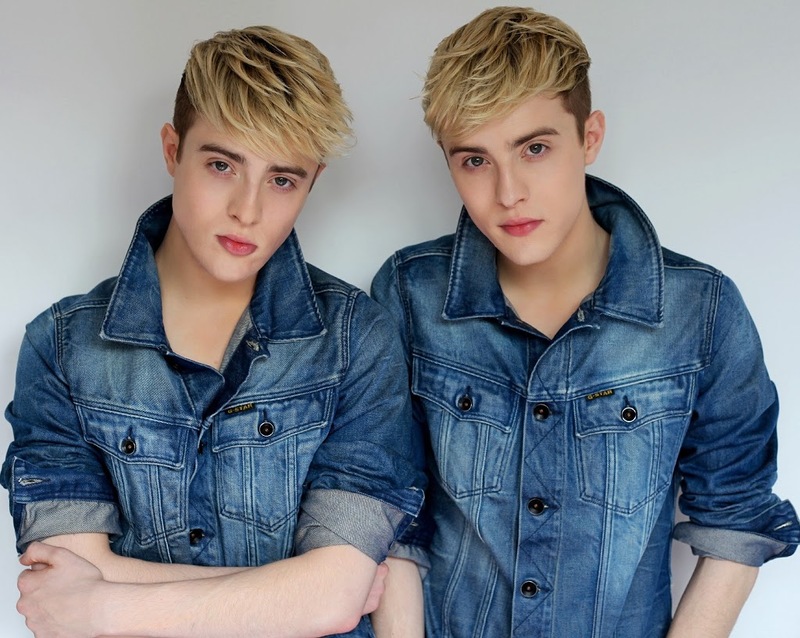 Though Jedward rose to fame in Britain and Ireland through their appearance on ‘The X Factor’, the rest of the world started getting whiff of their energetic performances at the 2011 Eurovision Song Contest, where they represented Ireland with their track ‘Lipstick’. 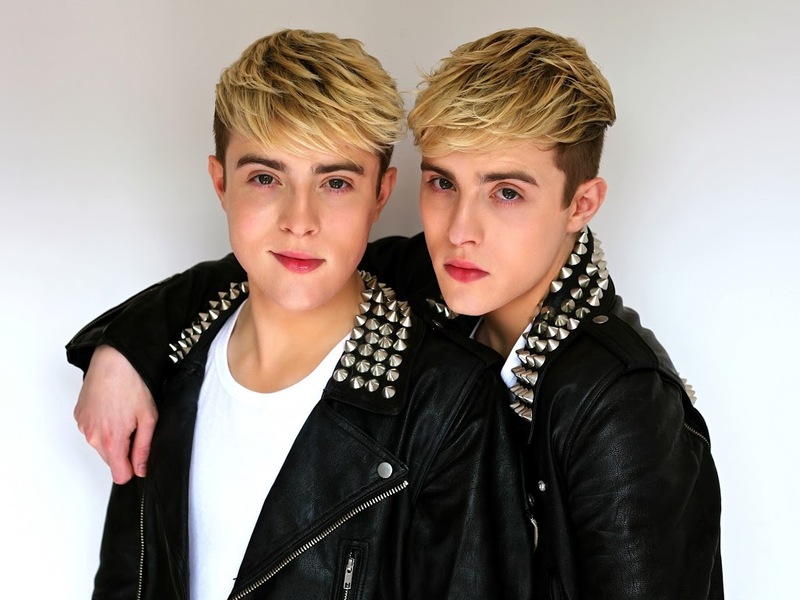 When they did it all over again last year – with ‘Waterline’ – it was clear the love for the effervescent twins had begun to spread far and wide. And given Australia’s love for Eurovision, there was no way that we were going to escape the boys’ bubbly personalities. They’ve subsequently found quite a number of fans here, a million miles from home. “I think it’s really cool that we go to another country. There are no Australian artists right now who are twins or who do what we do. So it’s cool that when we get to go to a different country, we’re not in conflict with another pair of twins. We’re a different vibe, a different edge. We’re totally different when we go to Australia because there’s nobody like us. Yes, it seems the reach of Jedward knows no bounds. And the boys’ fans are some of the most devoted we’ve experienced in our almost two decades in the industry. We ask Edward why he thinks their fans are so passionate and vocal in their support. “I don’t know. I think we’ve known them all for four years, so it’s kind of like a friendship,” he reveals. “You know when you have a concert or a baseball game, you go along because your friends are in it? They come to our concerts because they’re really proud of us and if anyone says anything about us, they always have our back. But he does admit there was one instance where he felt the fans may have crossed the line. “One time there was a crazy situation when we had loads of fans at our house. There were fans outside just jamming and getting ice cream, so that was a bit weird, ‘cause you’d be wanting a shower and you’d have to remember to put the blinds down. We tried to put a stop to that. We walked into the house and didn’t really stop to say ‘hey’, so then in the Jedward world, it became the non-cool thing to do. But even though there are fans seemingly everywhere they go who know their every move, the boys reveal they do need a quick escape plan every now and again. “When you go to shopping centres it’s kind of crazy because there’s no escape because you’re in a confined space. So we like shopping on streets because there’s always a back alley or something so you can get out of there. But one place the fans will be seeing them soon is in the studio. Despite releasing albums in 2010, 2011 and 2012, there’s been no new music from the boys in 2013. 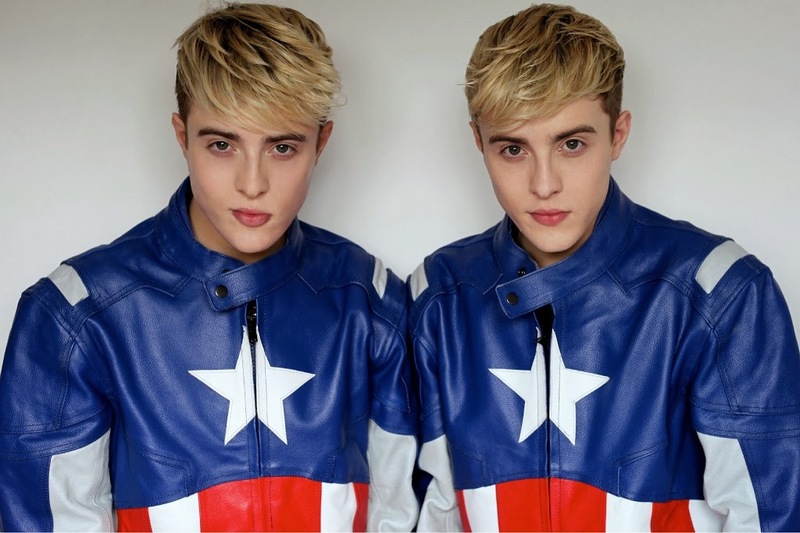 Though they recorded 16 new songs in writing sessions in Los Angeles, John and Edward have decided to get back to basics and write their next new music all by themselves. “It’s kinda cooler to start writing our own songs,” Edward tells us. “It’s better to connect with the fans and have your own lyrics. A lot of fans get tattooed, so it’s good to have a lyric that you’ve written yourself. “I think me and John surprise ourselves when we sit down to write songs, because we don’t always think on the same wavelength. John might write something and I’ll write something, then we’ll sit down and get the whole song together. We both come up with different concepts and different songs and we’ll try and write lyrics with lines in there that haven’t been said before. “You’ve got to think outside the box. You never know how the song’s going to work lyrically, then you have to come up with the melody, which we do in all sorts of situations. There are all these random clips on our phones with us singing in locations like an airplane toilet when these melodies come into your head. Our interview weaved between John’s skincare routine (“He’s been exfoliating too much, so he’s in the process of healing.”) to what the boys like to eat (“Grapes and sushi. We like drinking a lot of smoothies.”) to referring to themselves by completely random names in public (“Sometimes we have code names. Sometimes I might call John ‘Paul’, ‘cause if they hear John they might know it’s us, so we have code names. He’ll say ‘Edward, I’m going to call you ‘Phillip’ today’. Something like that.”). So expect many a madcap antic on stage when the boys arrive in Australia later this week for their three concerts, kicking off in Perth on Saturday night. Edward tells us what else we can expect from the live shows. Rather a lot like our interview, then. Jedward’s Australian tour kicks off at Perth’s Regal Theatre this Saturday night, before heading to Melbourne and Sydney. ………………….well maybe there the only twin BOYS but hello Veronicas???!!!! Australia does have its own set of Twin stars! I like Jedward but how can they not know the veronicas!?!?! Things maybe a little quiet with their music atm but they’ll be coming back full force soon enough once their new album comes out next year! Side note: when the girls did their first Melbourne show at The Palais it was a sold out show, unlike Jedward who are struggling to sell tickets to the same venue on their first tour here. It they were a “different edge” why doesn’t anyone want to see them? I really do like both act’s just saying thats all. Jedward should be more popular here. I will be very eager to hear whether Jedward were able to sell out at least half of the Palais when their tour hits Melbourne…even after tickets where half price last week. Maybe the promoters should have just had them do a club show…very ambitious for a Palais show! Thank you for that lovely interview! John and Edward are lovely, and their concerts are fantastic – a great night out!